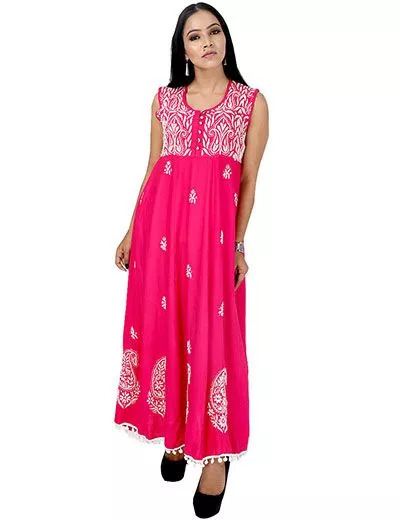 A beauteous, rose-pink, rayon kurti. 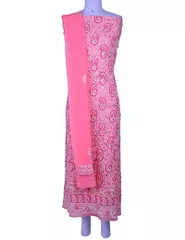 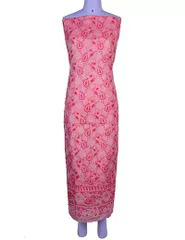 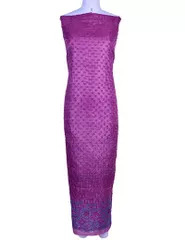 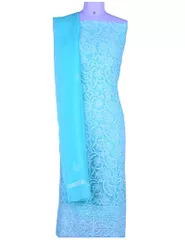 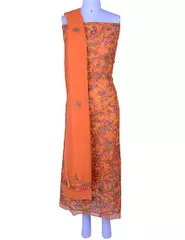 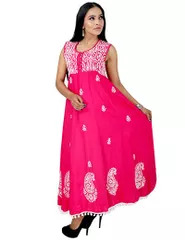 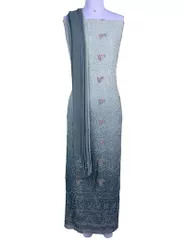 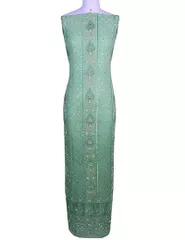 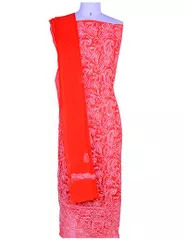 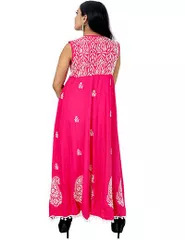 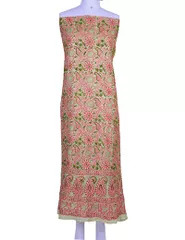 This ankle- length kurta can be styled as gown or anarkali suit. 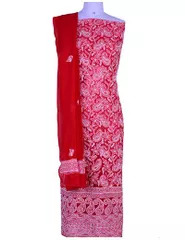 The chikankari highlights the artistic chana patti, murri fanda stitch which is crafted with matching colour thread. 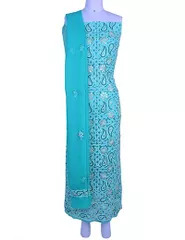 This sleeveless kurti is styled with yog jaal pattern.